Talk about your hits and misses of round one in the comments. Vent/Brag/Whatever. Played Warnie. Better than I expected. I got 2166 and i’m 4906. 20 points, we’re both there abouts. What happened to my profile pic?… and wheres’ TKOL.. Check out the 5th place overall. franna fc. team came 5th and he made $366,000 in week 1. Duds are Taranto, (willing to give another chance) Mills,- not sure on and O’meara was just garbage. I’d be keeping JOM for another week mate, has Adelaide up next I think? SHOULD I KEEP DAVID SWALLOW OR TRADE HIM OUT??? WHY ARE… Sorry, why are you yelling? Studs: as most; T. Adams, Laird, Danger, Rocky, Treloar, Titch, Stef + Beams, Macrae, Hoskin-Elliot, hell even Dahlhaus can get some lovin’ here. Vent/Brag/Whatever: Roo injury needs to be sorted, was looking forward to owning him, can go to anyone, just have no idea who. Duds: rookies, especially eddy and picket on field. On the Chopping Block:Swallow. Unnamed rookies. Vent/Brag/Whatever: eddy and picket on field for a combined 47 when I had butler and Houston on bench. Swallow gave me a 56 through Barrett. Really happy with gaff and z.jones. You are crazy if you are thinking of trading him out after 1 game. If this is the case, then why did you pick him in the first place? Do you expect 100 plus every week? It doesn’t work like that. If I rage traded Taranto to Hannan (or Butler tbh) it would then leave me enough $$$ to trade Parker up to Dangerfield. Wise or rash – thoughts?? What’s everyone doing with D. Swallow? Should I get Gawn (via Nank dpp) or Macrae for Riewoldt? I’d pick Gawn but you can’t go wrong either way. This is how bad our cash cows were: Jake Barrett scored 56; this was the 4th best score among the league’s sub-$200k players. I had 6 players who didn’t get to 40 and another 5 who didn’t get to 60 (and this doesn’t include Cameron at R4). I only have $20k in the bank, so I have to trade out D. Swallow to generate enough cash to allow me to get Butler for Eddy. I’m proud to say that, with all of this, I still scored 2097. Similar story. gotta get rid of reiwoldt. 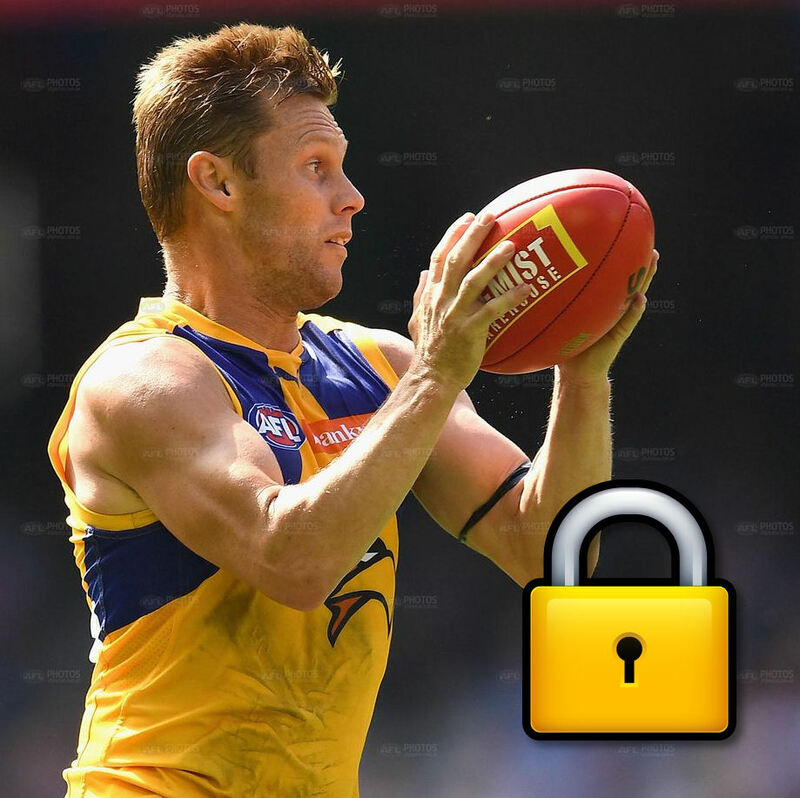 swapped jobe for swallow at lockout…. painful..
Worth downgrading parfitt to 150k on field to upgrade Fyfe to titch? Fyfe got 110, he is a gun, surely you will have other issues you can use your 2 trades on when teams are named? I don’t mind the idea of Parfitt. Questionable job security. I don’t agree with the idea of trading Fyfe to Mitchell. I have Fyfe in my team and have no intention of trading him anytime soon (unless injured or suspended). Vent/Brag/Whatever: The RDT leagues I created and filled via DTTalk are sitting First, Third and Seventh OVERALL so well done everyone! Hmmm, I’d almost be prepared to keep Taranto for another week mate, up to you though. Your comments made me look it up, as I had joined one of your leagues. The highest score team in the 1st ranked league is quite an achievement, let’s hope it can continue. My 2277 in RDT is hopefully not a flash in the pan (Overall rank 35). I played a loophole with Taylor Adams as VC and it worked a treat. He has confirmed a second chance for this week. 2237 in AF (rank 605). I hope this trend continues, but it is unlikely. In all honesty I’m disappointed by everything you just said. Jelly? 4LIFE? :)? You may have won in Fantasy, but you’re definitely not a winner here. Had the standards for 2142, probably got away with it ok given I only had Kennedy, Pickett, Barrett and Otten on field as genuine rooks. JOM will be fine, racked it up ok just didn’t have any other scoring aspects, which will come. On one hand I’m bummed I went out drinking on the Thursday and didn’t get in Hannan, on the other hand I probably would have got him for butler. Kennedy to Hannan, Joel Smith to as yet unnamed misc at this stage. League Results: W (DT Regulars vs The Sylvia Lining) Only just though. Studs: Adams, Laird, Dangerfield, Rockliff, Treloar, T Mitchell, Fyfe, Beams Martin, Kreuzer, Macrae, Dahlhaus, Steele, happy with Nankervis, Roughead, Hampton, Marchbank. On the Chopping Block: Willing to make no changes this round, just a change or two from bench to field, especially in regards to Smith, Otten, Hibbard. Vent/Brag/Whatever: Willing to keep O’Meara for another week or two, see what happens. Just found out Smith got injured, hmmm… not sure what to do now as I don’t have the coin to go to another player. How much attention were you paying over the weekend? League Results: most of my leagues start this week. Duds: jack Steven as captain let me down only notching 188,(still happy with him) Tarranto and Bowes were disappointing. On the Chopping Block: will wait for team selections but I’ll push through with everyone. Vent/Brag/Whatever: Zach tuohy was a beast and I’m glad I chose him over mills. And again so disappointed in jack Steven as my C.
Worth trading hanners to d Martin ? I chooses them both as POD and most likely would be in the Top 1,000 if i did. Only issue apart from the obvious rookies is the smith injury. If all rookies are named to play i was thinking smith + Grundy out, for jones and witts. ANB or McGrath? Wouldn’t change on-field as I’d need to play them in the mids. ANB could honestly go 80-90, gonna be a lot of high scorers at Melbourne as they play Carlton, that’ll be good cash generation. Vent/Brag/Whatever: Happy I had the Captaincy on Murphy, even though Heppell outshone! Thoughts on moving Swallow on? Who to? Hey guys, thoughts on Riewoldt to Tom Phillips and then Joel Smith to Zac Jones? Duds: Omeara, Otten, Eddy, Pickett,Hibberd, Swallow?? On the Chopping Block: Swallow?? Thoughts on the Riewoldt situation? Really want to hold onto him however tempted to bring in T Adams and make a few DPP movements. Also think WHE will be consistent? Thoughts on trading Jack Viney to Heppell and Eddy to Butler/Housten? On the Chopping Block: amazingly may keep team unchanged?